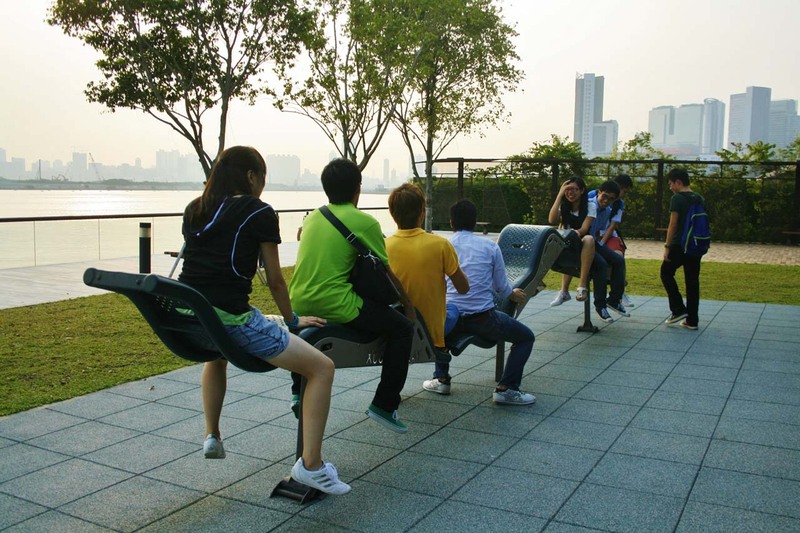 The concept of public space is interpreted differently in different areas and cultures. In the broadest or ideal sense, a public space can be defined as an area where everyone, regardless of his or her background, can enter without pre-requisite, such as an entry fee. Typical examples include (but are not limited to) public squares, parks, streets, public libraries, street markets, and country parks, etc. Literally, “public space” can be simply defined as a “space” for the “public”. However, both “public” and “space” can be interpreted differently in different contexts. For example, “public” may refer to “every single individual”, “the entire population as a whole”, “the majority”. From some other angles, “public” may exclude the government or commercial interests, or it may refer to anything that is not private, etc. We are not trying to give a solid definition here, but we would like to point out the complexity of the term “public”, and exactly due to this ambiguous nature, there is hardly any standard definition of “public space”. In the following, we will give your more idea of what “public space” is by comparing it with various concepts. The usual antonym of “public” is “private”. In fact, “private space” is perhaps easier to define as it is often governed by the law—spaces which are owned by particular groups or individuals but not the community, and are meant for private use. For example, places where we stay most, such as our homes, shopping malls, schools, office towers, are all private spaces, where entry of certain people can theoretically be restricted by their owners. However, private ownership does not necessary mean a space is exclusively for private use. Certain areas within private properties are required to be dedicated for public space, under either the Deeds of Dedication or lease. 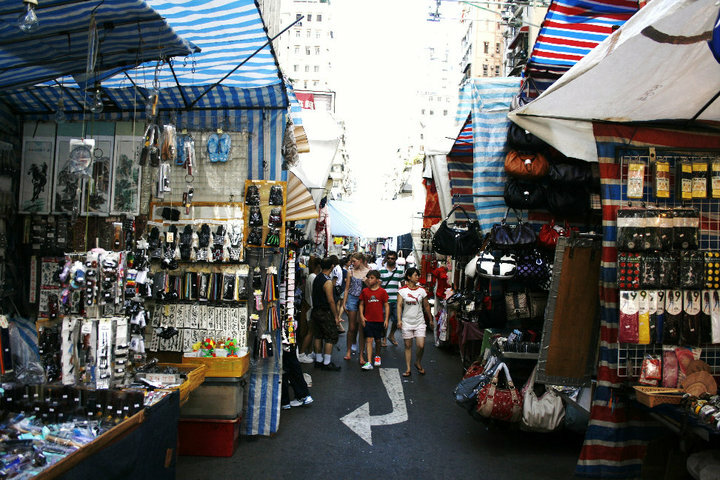 These include some open spaces (such as Times Square), pedestrian passage (such as the walkway in Central Plaza which we always pass by when we go to the HKCEC from Wan Chai MTR), and widened streets. 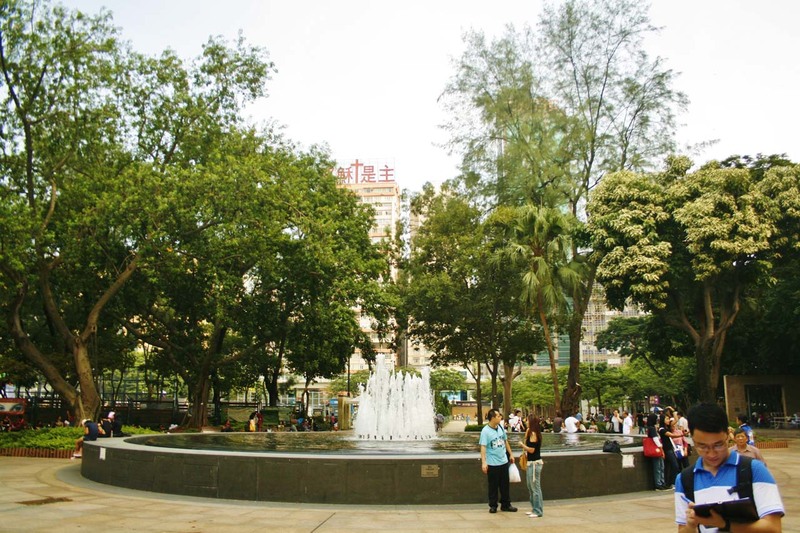 Despite their private ownership, they are by law regarded as public spaces. When people talk about “public space”, many easily associate it with a park with lots of trees. However, a public space does not necessarily have to be a park. In fact, the concept of public space is often misinterpreted as that of recreational space or social space, both of which do not contain the essence of “public” and may imply restricted entry. For example, the podium garden of a private residential development is considered a recreational space, yet only residents and their visitors are allowed to enter. Harbour City acts as a social space in which many people gather and socialize with each other. Although it usually welcomes anyone to enter its premises and is therefore practically “public”, it theoretically cannot be regarded as “public” since the shopping mall has the right to deny entry. In a nutshell, a public space may not necessarily be a recreational or social space, and vice versa. However, since in many circumstances public spaces are in fact recreational spaces that encourage social interactions, these terms are often interchangeably used, but they are not conceptually synonyms. The same applies to the terms “green space” and “gathering place”. The term “semi-public space” (or “pseudo-public space”) is coined to refer to places that appear to be public spaces but have the key elements of public space stripped away1 .Typical examples include shopping malls, sport stadiums and theme parks, which are in fact privatized spaces. While there are very often many people in these spaces (thereby creating a “public scene”), the management of which often discourage or even prohibit activities that may hamper their profit-making goals. 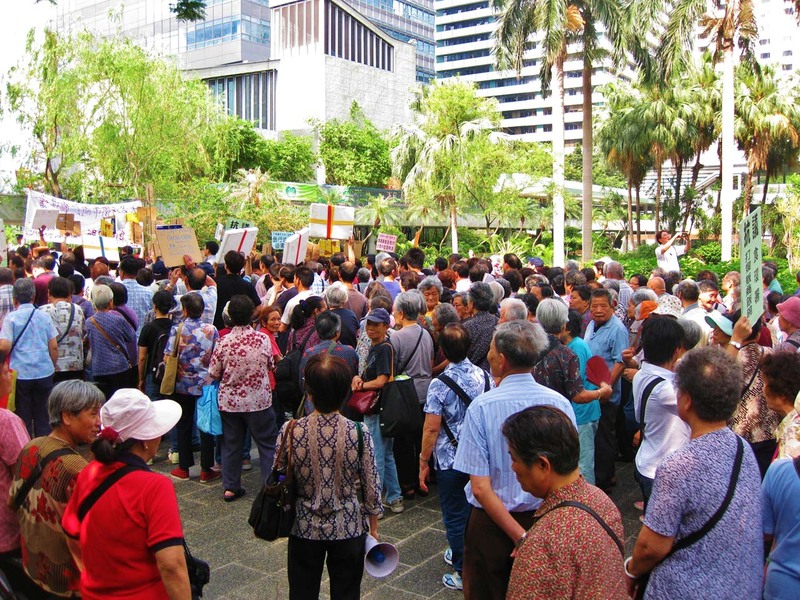 For example, most political activities, such as protests, are rarely found in malls because they do not encourage or even discourage consumption. People who do not pay the entry fees are not allowed to get into the theme parks and sport stadiums too. As such, while a lot of social interactions and even public life are going on in these “semi-public spaces”, they are not truly public spaces as they do not fulfill one fundamental spirit of public space—free entry for everyone. The concept of open space implies use of the general public, but it focuses more on “minimum of building structure” and “recreation”. In some other definitions, the term also infers an area with “no development” that is preserved for conservation and recreation purpose3. As such, the term “open space” differs from the concept of “public space” in the sense that the former focuses on the usage of the space. As such, while many open spaces are indeed public spaces, they are not synonyms; public spaces, for example, can be built inside or on building; others may also consider public space as part of “development”. In a nutshell, we lean towards public spaces that can potentially act as the stage for public life, loosely defined as where one can interact with each other, regardless of people they know or they don’t know, through supporting social exchanges, entertainment, community organizing (such as protests) and commercial activities, thereby providing benefits to the community (note that we put “potentially” here because not all existing public spaces are functioning in the way they should have been!). Indeed, the existence of public life is a prerequisite to the development of public space5. A public space without public life is one that loses its soul, resembling a dead human body, which is simply a body without human life. Besser, Howard. (2001). Intellectual Property: The Attack on Public Space in Cyberspace. UCLA School of Education & Information. Town Planning Board (2011). Definition of Terms. Forms, Guidelines, Technical Documents & Reference Materials. Retrieved on 4th Nov 2011. Myers, Marilyn (1975). Decision Making in Allocating Metropolitan Open Space: State of the Art. Transactions of the Kansas Academy of Science, vol. 78, no.3/4. Whyte, W.H. (1980). The Social Life of Small Urban Spaces, Michigan: Edwards Brothers. Slessor, Catherine (2001). 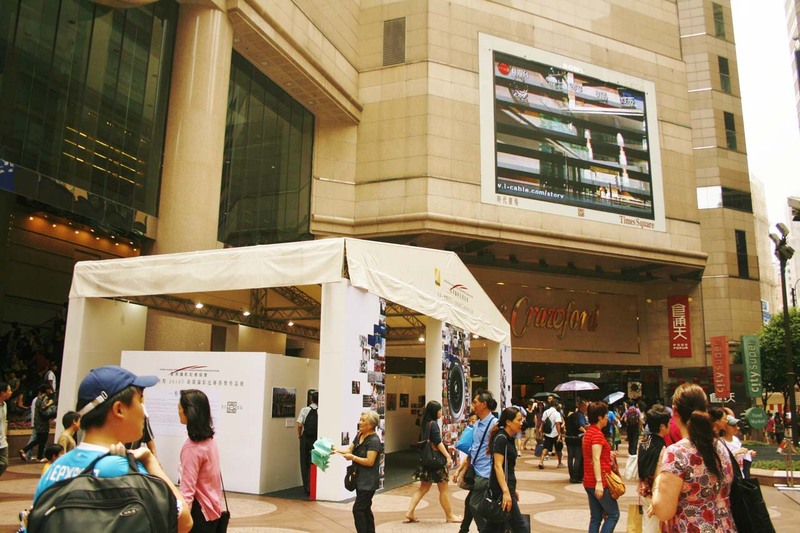 Public Engagement – Evolution of Public Space. The Architectural Review, April 2001. Park is a very common type of public space (Victoria Park). The ground plaza of Times Square is a classic example of privately owned pubic space in Hong Kong.